DEALERS ARTISTS ARTICLES OUR COMPANY CONTACT US GREENHOE INC.
Charles Russell Roberts is a Chicago-based trumpet player with the Gaudete Brass Quintet and regularly appears with the Evanston Symphony Orchestra, Symphony of Oak Park and River Forest, and has performed with the Chicago Symphony Orchestra, Lyric Opera of Chicago, Chicago Philharmonic Orchestra, Orlando Philharmonic Orchestra, and is on the substitute list of the Milwaukee Symphony Orchestra. Charles joined the Chicago Symphony on their 2019 Asia tour, and appears on the recent CSO Resound release of Riccardo Muti Conducts Italian Masterworks. 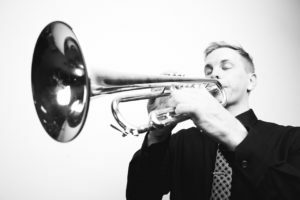 He holds bachelor’s degrees in music theory and trumpet performance from the University of Florida, a Masters degree from the Eastman School of Music, is an alumnus if the Civic Orchestra of Chicago and pursued post-graduate studies in orchestral performance and arts administration at Roosevelt University’s Chicago College of Performing Arts. Charles’s notable teachers and influences include Joyce Davis, James Thompson, Channing Philbrick, Mark Ridenour, and Christopher Martin. Having grown up in New Orleans, Louisiana, Charles has an affinity for great food and spends his spare time cooking and trying new restaurants. In addition to his performing career, Charles works at Grenzebach Glier and Associates in the philanthropic services and council industry.